September 21, 1906 – The laying of the cornerstone for the new Cook County building is highlighted by the presence of United States Vice-President Charles W. Fairbanks who arrives to preside at the ceremony. A long and circuitous parade begins at 2:00 p.m. at the Auditorium Annex where Fairbanks is staying and moves north to Clark, where the principal speakers ascend the dais. Mayor Edward F. Dunne, Governor Charles S. Deneen, and Vice-President Fairbanks deliver the addresses at the Clark Street ceremony. In the cornerstone rest volumes of Cook County history, the proceedings of the Cook County board for the year, the membership rolls of the principal clubs of the city, various artifacts supplied by the Chicago Historical Society, and copies of the day’s newspapers. In the evening a banquet is held at the Auditorium Annex for 500 people. 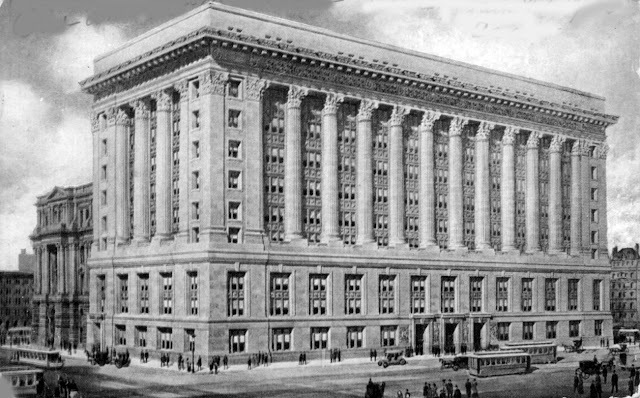 Pictured above, the county’s half of the building on Clark Street, designed by Holabird and Roche, will be completed by 1908. The city’s half on LaSalle Street will follow two years later. 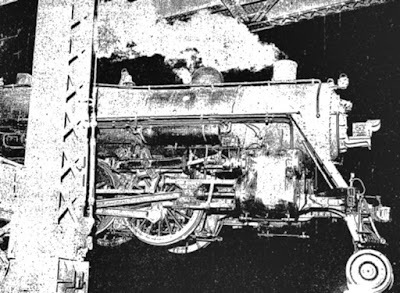 September 21, 1941 – A near tragedy is averted as the Midnight Special on its way out of Chicago and bound for St. Louis is halted just in time to avoid falling into the Chicago River when the railroad bridge at Twenty-First Street is opened to permit a lake freighter to pass. The engineer brings the train to a halt with “its small front wheels and first large drive wheels already over the water and beyond the rail ends.” [Chicago Daily Tribune, September 22, 1941] No one is hurt in the mishap, the passenger cars are pulled back to Union Station, and the passengers continue the trip after the fouled tracks are cleared.